Compare forex brokers by account and platform features, read detailed reviews and open an account. Select a broker below to view in more detail, or filter firms according to your selection criteria using the screener tool on the right. Click on the read more buttons to display additional information about each brokerage service. ■ AvaTrade ■ easyMarkets ■ eToro ■ HY Markets ■ Interactive Filter brokers by features and rankings to narrow your search. ✓ AvaTrade supports micro-lot trading (their WebTrader platform defaults to micro-lots) and flexible fractional lot sizes across all their platforms. ✓ The ‘Guardian Angel’ Add-On is a functionality within the AvaTrade web platform that uses behavior analytics to track your actions and provide instant feedback. A unique and useful tool, it allows beginners to learn as they trade. ✓ AvaTrade offers an exceptionally wide range of trade copying solutions, including Mirror Trader, Ayondo, Currensee and ZuluTrade. ✓ In addition to forex, it is possible to trade a number of other markets such as commodities and interest rate products from a single AvaTrade account. But be aware that . . .
‒ The broker operates with a 5 day turn around on fund withdrawals, which is slightly slower than some other firms. ‒ Possible order types are somewhat limited with only the common variations of stop, limit, and market orders, plus one-cancels-other for bracketed entries and exits. Note that conditional orders are subject to conditional distance settings, making this broker unsuitable for scalping type strategies. ‒ AvaTrade’s initial deposit requirement is relatively high for entry-level traders. ✓ New traders: easyMarkets’ entire ethos and brokerage offering is configured around simplicity for forex beginners, but still delivers a professional platform and tools. ✓ Two unique tools offered by this broker that we thinks are particularly good are easyMarkets’ proprietary ‘Trade Controller’ and ‘Inside Viewer’ features. One provides a graphic representation of the parameters of open trades, and the other shows the net positions of other traders. ✓ easyMarkets offers fixed spreads as standard, and also has the option to support fractional pip sizes ideal for smaller accounts. ‒ There is an inactivity fee for dormant accounts, although at $25 per year, this is very low indeed by industry standards. ‒ Though it is possible to open an account with easyMarkets with a deposit of just $25, the minimum lot size that you can trade with easyMarkets is $5,000, so ensure you are adequately funded. ‒ This broker does not accept U.S. clients at this time. ✓ Interactive offers an ECN model with direct access to the interbank market – this means there is no markup on spreads, no re-quotes, and avoids the conflict of interest associated with dealing desk brokers. ✓ The Interactive Brokers group of companies are a highly established and reputable firm with a strong track record for ensuring the security of client funds. The company holds over $5 billion in equity capital, and has a BBB+ S&P rating. 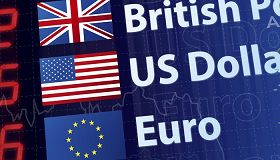 ✓ This broker accepts forex clients from the United States. Forex can be traded from the same account as securities and derivatives. ‒ Forex brokers in the US are regulated by the National Futures Association (NFA). Leverage is limited to 50:1 for major pairs and 20:1 for minor currencies. Hedging is not permitted. ‒ The use of ‘expert advisor’ automated strategies is theoretically possible via the broker’s API, which can also facilitate trading via a MetaTrader front-end. This is only recommended for the technically savvy though. ‒ Interactive Brokers focuses on attracting managed funds and accounts from experienced professional traders. Their minimum initial deposit is therefore very high, and their customer support may not be geared towards new traders. ‒ Initial deposit requirements are relatively high, and the minimum trade size is a standard lot. ✓ The charting and execution platform scored well in our review, with intuitive order placement and analysis tools that made it quick to learn, a customizable layout, and an integrated real time news feed. ✓ The Markets.com platform conveniently offers the ability to switch between a real, funded account and a simulated demo account with a single-click. ✓ This broker’s ‘Economic Calendar’ is among the best that we have seen. Consisting of a summary list, each forthcoming event can be expanded to display previous and forecast figures, an overview explaining why the release will matters to the markets, and historical data complete with charts. ✓ It is now possible to trade with both fixed and floating spreads with Markets.com. Fixed spreads on popular forex pairs are fairly low. ‒ MetaTrader/Sirix is no longer available with this broker. You will have the choice of the company’s own mobile or webtrader platforms, both of which performed very well in our testing. ‒ Markets.com’s range of tools and resources is a little limited compared to other firms, and several of those it provides are 3rd party APIs. ‒ The typical floating spreads quoted on this broker’s website are higher than the average among firms we surveyed. ‒ At the current time, Markets.com is not accepting US clients. ✓ TradeStation’s charting platform is among the best available, enabling you to back-test, optimize and automate strategies. Both charts and data are provided free of charge to forex accounts. ✓ The TradeStation Group is hugely well-capitalized, and is a wholly owned subsidiary of Japanese financial services giant Monex. Overseen by both NFA and CFTC, TradeStation invests customer funds in US Treasuries and maintains excess liquid funds available to satisfy all forex customer obligations within United States banks. ✓ This broker accepts forex clients from the United States. ‒ It is not possible to trade other securities such as stocks or futures from a TradeStation forex account. Only one standard account type is offered (IRA, corporate, and trust accounts are also available). ‒ MetaTrader is not available to TradeStation customers. The broker’s own platform, however, is widely considered superior. This comparison table has been created to help you compare forex brokers by account and platform specifications bonus offers and find the best forex broker for your currency trading needs. No one forex broker’s product or service is definitively “the best”; each trader has his or her own unique requirements, financial circumstances, and trading goals. Before you begin, you might like to read tips on how to choose a broker so that you know the key features to look for. We also suggest that you read reviews for each forex broker, and take advantage of any promotions or offers that are available. The broker comparison table is provided to help you to find the best match for your individual investment objectives. Are you ready to start trading forex but unsure about how to begin? Do you want to avoid the costly mistakes that drain the accounts of most newbies? Would you like to develop your skills with actionable tips from profitable traders? Could professional guidance be the missing piece that will unlock the puzzle of the markets for you? Do you prefer honest, straight-talking advice that’s easy to understand? Are you looking to discover new strategies and see exactly how to apply them? Then join us in the Forex Knowledge Base today and learn everything you need to become a first class forex trader! With this completely free resource you can learn and develop entirely at your own pace . . .
*All information has been supplied by individual brokerage firms and is accurate to the best of our knowledge. BestBrokerDeals offers this data to all users for information purposes only to compare forex brokers, and will not be liable for damage or loss resulting from errors or omissions. We strongly recommend that you carry out your own due diligence and confirm the specific terms and conditions before opening an account with any forex broker listed on this site. Promotional offers featured on this site may be provided by the brokerage firm you open an account with, by BestBrokerDeals.com, or by a combination of both. Promotional offers are subject to terms and conditions, and may require you to perform a specified action within a specified period of time in order to meet the criteria for qualification. BestBrokerDeals Ltd, the authors, the publishers, and all affiliates of BestBrokerDeals Ltd assume no responsibility for liability for your trading and investment results or for any losses financial or otherwise that may result from interactions with a third party or brokerage featured on the Website. Factual statements on the Website or its publications are made as of the date stated and are subject to change without notice.